BACK ON MARKET due to buyer financing! 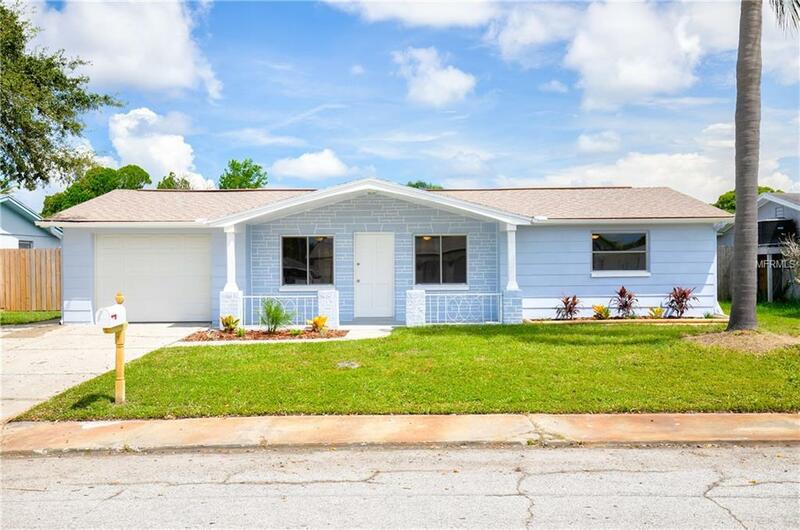 RARE FIND - totally UPDATED 2 bed, 2 bath, POOL home with inside laundry, bonus enclosed patio, & sizable backyard! Great curb appeal with new landscaping & paint. Oversized parking pad & attached garage - bring your toys! NEWER Windows, Garage Door (2014), & Roof (2015). Spacious & bright with lots of natural light, modern tones, brand NEW wood-look laminate flooring, NEW carpet & padding in bedrooms, plank tile in wet areas. Bathrooms have also been beautifully remodeled & hall bath features an insulated tub to keep the water at just the right temp. NEW paint, trim, baseboards, fans, hardware, fixtures, raised-panel doors, & a completely UPGRADED Kitchen with timeless white shaker cabinets, GRANITE countertops, tile backsplash, & NEW Whirlpool & Frigidaire appliances. Eating space just off the kitchen leads to fully enclosed lanai that feels like part of the home with distressed plank tile. Great year-round with its vinyl windows - open them up and enjoy a nice breeze! Dual entry to the pool deck & yard makes for easy access & entertaining, + another open patio leading to the fenced yard pets, grilling, & gatherings. Generous pool will get good use for many of those warm Florida days. Birdcage was recently re-screened & a brand NEW pool pump was just installed. This home is truly turn-key & move-in ready! Less than 1 mile over the Pinellas County line. LOW taxes & NO HOA fees! Just minutes from schools, beaches, shopping, restaurants & the infamous Sponge Docks! Additional Lease Restrictions Buyer To Verify With City/County For Lease Restrictions.